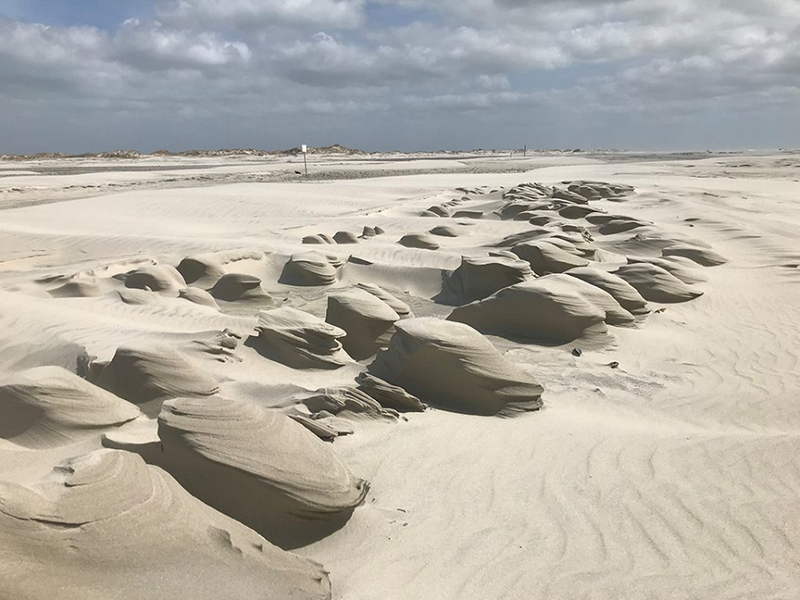 HOLDEN BEACH – Sand that Holden Beach has received for years to re-nourish its east-end oceanfront may instead go to a neighboring island, a prospect that caught town officials by surprise and questioning why the sudden change. The town is now in the process of obtaining some 60 property easements in the hopes of getting a shot at receiving sand the U.S. Army Corps of Engineers routinely pumps from the Atlantic Intracoastal Waterway, or AIWW, crossing at Lockwood Folly Inlet. 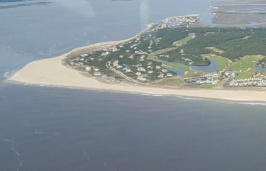 The Corps has since 2002 given the dredged material to Holden Beach, but Corps officials in late August told town officials that the town would have to get easements and, since Holden Beach’s neighbor to the east, Oak Island, needs fewer easements, that town may get the sand. 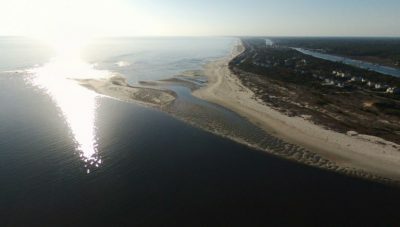 The news was a jolt to a town where its board of commissioners this past spring voted unanimously to withdraw a permit application to build a terminal groin at the east end, which loses about 60,000 cubic yards of sand a year, according to annual monitoring. Holden Beach Town Manager David Hewett said he doesn’t understand why the Corps is requiring easements because the sand is placed below the high-tide mark, which is under state ownership. The implication of the Corps’ easement requirement will be wide-sweeping with other beach towns that have been the beneficiaries of sand dredged in federal projects having to supply documentation that can be timely and costly. 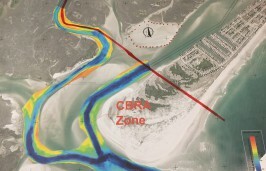 A majority of the easements obtained along the Bogue Banks oceanfront are permanent, he said. “Does the Corps want a spreadsheet showing all the parcels? Do they want a hard copy of them all? Are the ones we have not good enough?” Rudolph asked. Holden Beach is paying Applied Technology and Management Inc., or ATM, $40,000 to conduct a modeling project within the inlet to help make the town’s case for the sand. “We have accumulated some historical shoreline maps and provided those to the Army Corps of Engineers in support of our position,” Hewett said. ATM is the same company that identified a 1,000-foot-long terminal groin as the preferred erosion-control method at Holden Beach’s east end. One of the arguments made against the terminal groin was that routine re-nourishment of the east end, coupled with what is known as the Central Reach project, will be sufficient to combat erosion and less expensive than building a hardened structure. The first phase of the Central Reach project was completed more than a year ago and pumped about 1.3 million cubic yards of sand along about a 4-mile stretch of oceanfront in the middle of the island. Hewett said sand from the federal dredging project has been routinely placed on about a three-quarters-of-a-mile stretch of beach. These sand injections are included with the town’s beach monitoring program. That’s not a lot of sand, but that amount is significant to the entire island, Hewett explained. 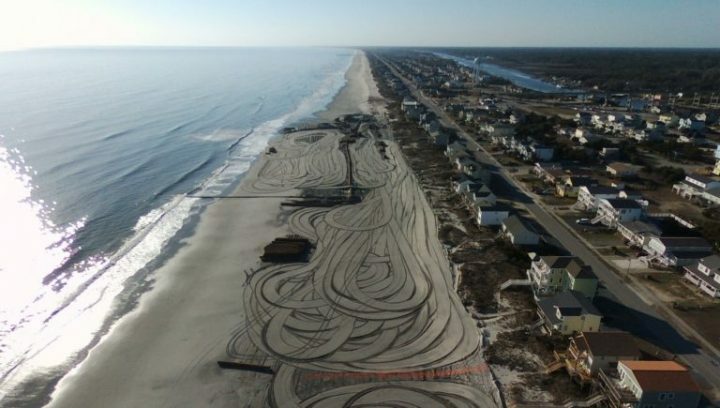 The town’s annual average erosion rate along the entire 9-mile stretch of oceanfront is about 200,000 cubic yards. The ocean current washes sand onto and sweeps sand off Holden Beach’s oceanfront from east to west. This is known as a littoral current, which develops parallel to the coast as waves break at an angle to the shoreline. For that reason, he argues, it doesn’t make sense to place the sand on the west end of Oak Island. 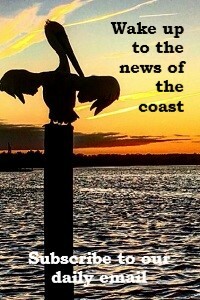 “It’s a wrong decision from the logical side because of the east-west littoral drift,” Hewett said. Oak Island Town Manager David Kelly did not return a call seeking comment. Brunswick County Deputy County Manager Steve Stone said he was surprised to hear that the Corps was requiring easements. Holden Beach anticipates spending roughly $30,000 in attorney fees to get the easements. “We’re working just as hard as we can so, if we can, somehow through a Hail Mary so we can get what we can,” Hewett said.